Mick Malthouse (left), Matt Eagles (third from left) and Brisbane Lions recruiters during recording of the final of Foxtel series The Recruit. 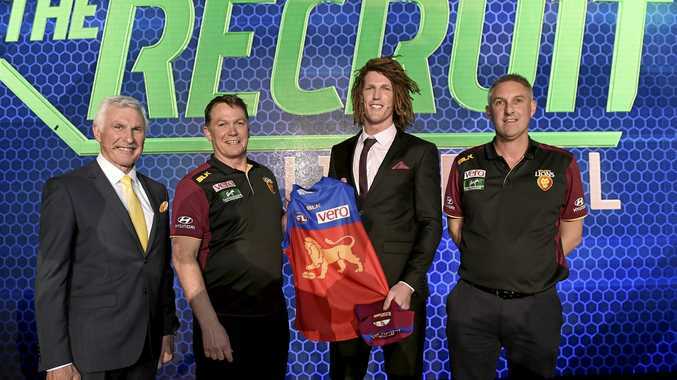 AFL: Already based in Brisbane, ruckman Matt Eagles was happy to be staying put after winning reality television show The Recruit. The 26-year-old scaffolder plumped for the Lions, who were keen to add more support for Stef Martin, over Collingwood and the GWS. 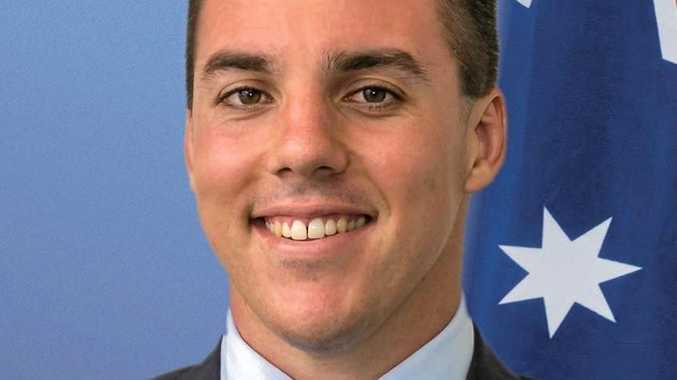 He has been signed as a category B rookie, and will aim to enjoy more success than The Recruit's series one winner, Johann Wagner, who failed to play a senior game at Port Adelaide. The Recruit coach Mick Malthouse said Eagles, a former South Australian, possessed "aggression and speed, and his marking ability is incredible - he has a great vertical leap”. "He attacks the ball like a hardened midfielder player, (and) runs all day which gives him every chance to make it at AFL level,” Malthouse said.